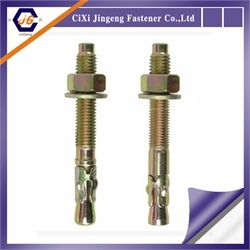 Drop In Anchor,Wedge Anchor and Sleeve Anchor with flange nut from Cixi Jingeng Fastener Co., Ltd.
Cixi JinGeng Fastener Co.,LTD. is located in Cixi city, zhejiang province, china. Being in the shore of the East China sea and the South of Hangzhou Bay Sea-spanning Bridge, this beautiful and affluent place is becoming the new hotbed for investment among China's Yangtze River Delta regions with its developed economy. 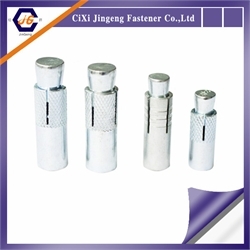 Cixi Jingeng Fastener Co.,LTD. 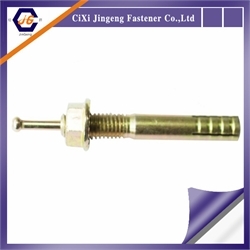 is a private enterprise engaging in all kinds of fasteners--- expansion series fasteners, bolts, nuts and sorts of non-standard parts. We manage expansion series products including drop in anchors, wedge anchors, sleeve anchors, hollow wall anchors, and metal frame anchors,etc. 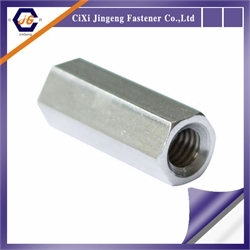 Nuts like hexagonal nuts, hexagonal long nuts, flange nuts,cap nuts,nylon lock nuts...are still within our range. 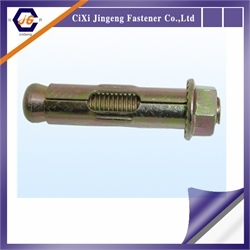 We also sell various bolts, such as hexagonal nuts, carriage bolts, flange bolts and so on. 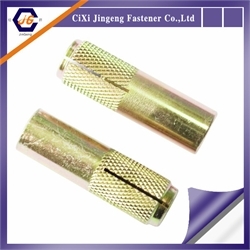 All these products are made in accordance with such standards as DIN,JIS,ANSI, ISO,BS,GB, avaliable with material from carbon steel, stainless steel, alloy steel to brass. 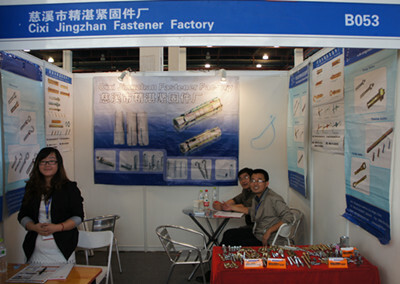 At the same time, we could make a variety of non-standard parts based on customers&rsquo; drawings. Professional skills creates quality products! Under the guide of the business principle&rdquo;providing best service&rdquo;, we have made remarkable achievements with the persistent efforts of all employees. We own a excellent team, all of whom have both professional trade knowledge and good operation ability. 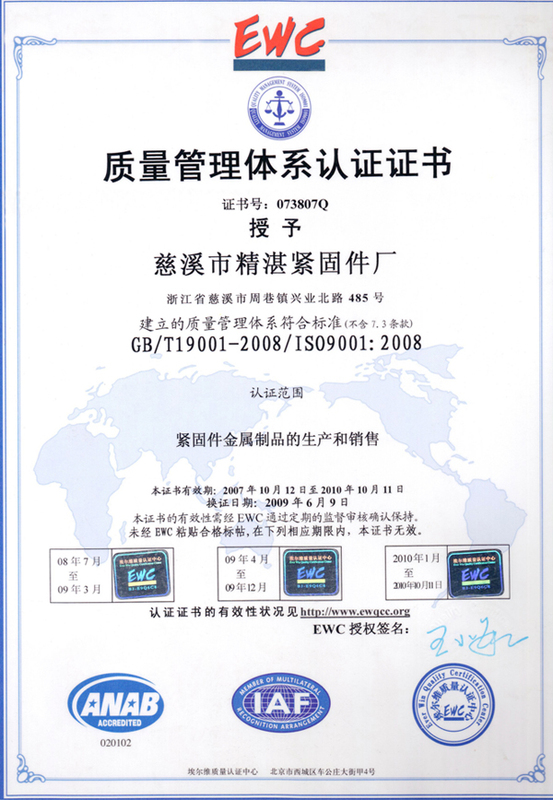 We could not only provide customer with international logistic solutions, but also are able to help overseas customers who aim to develop Chinese market find source of goods , inspecting goods, clearing custom and solving all procedures during import and export. Our purpose is&rdquo; To gain your trust and support with our sincerity and excellent service, thus achieve mutual benefits and win-win business relations. 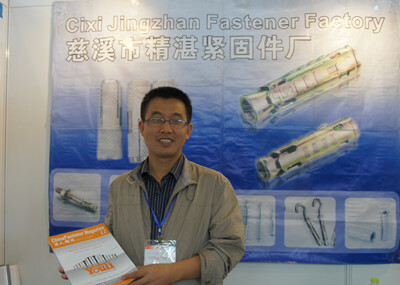 We are willing to sincerely cooperate with clients at home and abroad to create a bright future hand in hand! 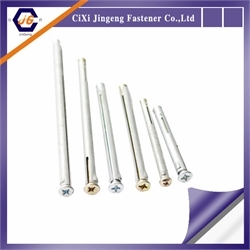 Company Name Cixi Jingeng Fastener Co., Ltd.
Add: Room 302,Unit 1,Building 28,Mingbei Community,Sanbei West Street,Cixi,Zhejiang,China. 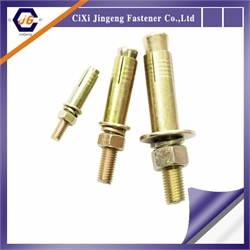 To: Cixi Jingeng Fastener Co., Ltd.